From an outsider’s point of view, should that be cut and simply put as neither studying at an art institution nor working full-time within the fashion industry, I’ll have you know that I've continually chosen to believe in the romantic stories of all creatives within the industry, throughout the years of creating this space. And up until now, I could go on about how creatives enjoy immersing thyself into their comfortable environment and no doubt are there environments where the drive to creativity is somewhat reduced. Arriving at Lanvin’s re-see presentation space at La Rive Gauche was as much as an antonym of a lesser surroundings, as it was a treat to the eyes. It was one of those moments where you try to take in as much as you can see, because the visit itself was a real treat to all senses. It was a rare opportunity to get an insider’s view - a presentation space that embodied the French spirit. And given the amount of a time a final year student can pinch, I've taken the time since photographing last September's Lanvin collection to digest and somewhat had the unfair advantage to see how the brand is doing on a larger scale. Almost exactly this time last year, Boucha Jarrar was announced Creative Director of Lanvin, replacing Alber Elbaz and something according to the guys at Wall Street Journal to be ‘huge… HUGE news’. Needless to say, to any person, whether or not within the fashion industry, a 14-year tenure anywhere is a big step. 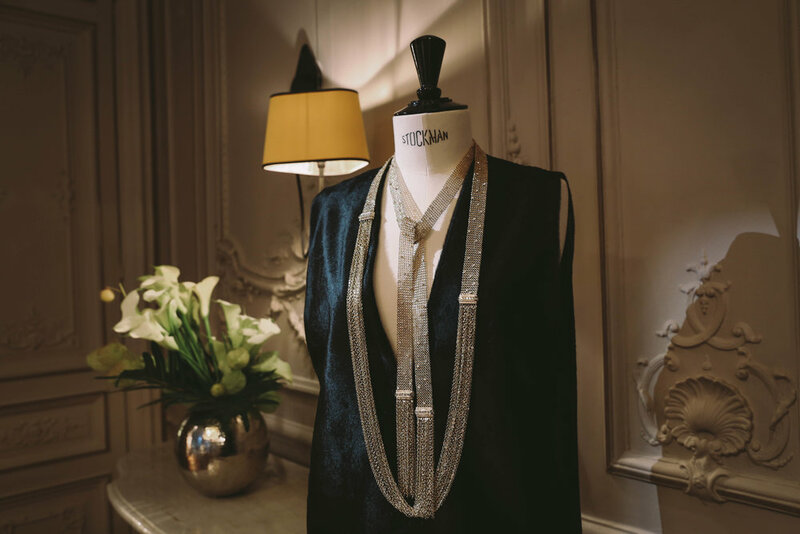 And the changing of roles is equally significant especially because Lanvin is one of the last standalone French maisons that is established within Parisian ateliers and still remains to be guarded by its team of seamstresses. The previous year has also overseen an obscene amount of magic chair of changing positions for Creative Directors, and it's clear that a change in perspective is essential in keeping the brand to customer interest up to date. And Alber Elbaz was, simply put by himself, just Alber - whose uniform included bowties and scarves, and to me, was the icon behind Lanvin. Sure enough, I was able to recognise Alber as a figure within the industry, though he was not responsible for the menswear division of the brand and the connection between the public and creative directors were, up until recently, thin. It wasn’t until looking for previous interviews that Alber was not the man simply for Lanvin - but one who was praised by Suzy Menkes as ‘every woman’s darling’. His designs were based on freedom and love. And his takeover since 2001 oversaw the transformation of the ‘Lanvin Blue’ packaging, encouraged dreams and loved by Tilda Swinton because he was ‘a complete human-being and believes in humans’. Watching Alber Elbaz previous interviews on Vogue, The New York Times and The New School all brought together a side which is difficult to see from the outside - precisely that he is a humble genius. They provide real insight to his artistic thoughts and grounded personality. He recognises that fashion as a concept for ‘elevation, to make people dream’ and to transform people with fabrics. Elbaz wanted to ‘do fashion to enjoy, not to suffer and complain’. 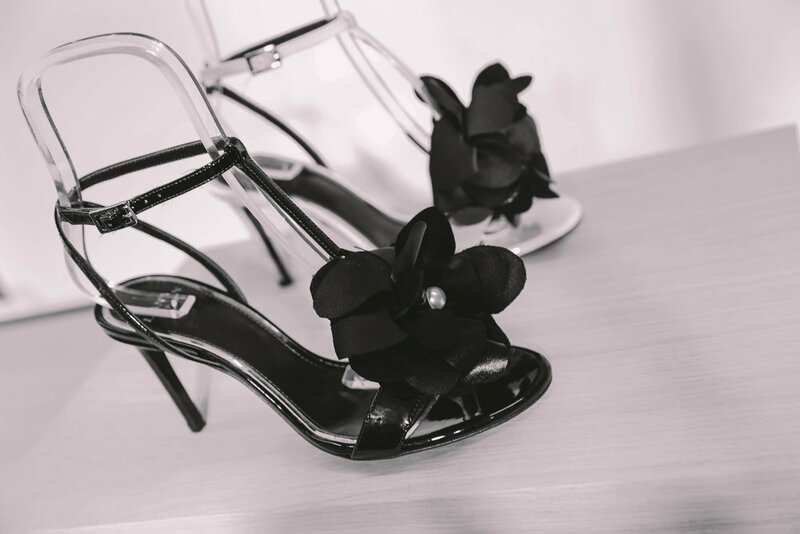 From a creative standpoint, Jarrar has all the experience for her position at Lanvin. 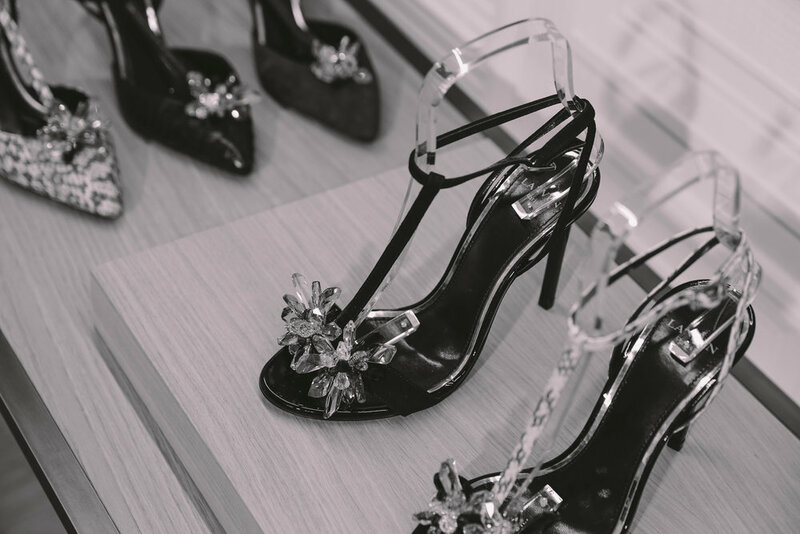 With a background of working under Nicolas Ghesequiere and recently receiving her haute couture accreditation in 2013 from the prestigious French Chambre de la Syndicature, Jarrar is not short of experience embracing French design with 25 years of experience behind her, alongside her own label. Jarrar, however, is highly product-driven and hired to do so - she serves the creative as well as the technical side. Once she even stated that ‘it would be boring to design glitter for the sake of it’, though glitter in her context would be flashy and ill-fitting. The collection we see is not - the clothing is more well thought-out, fits for comfort and in the right proportions. 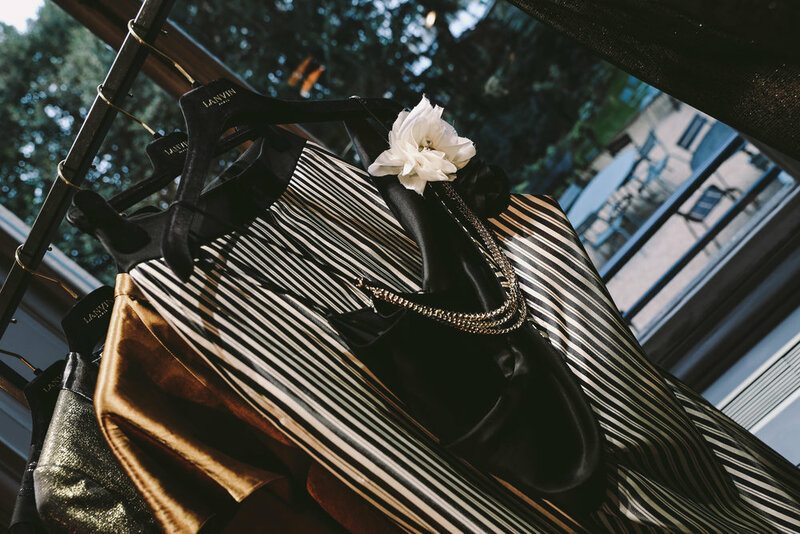 Because reality is in Jarrar’s vision, just as how fashion can be fashionably sound in business, too. Stripes were omnipresent in Lanvin’s history and that goes into The Spring Summer 2017 collection which embodied the crossing of masculinity and femininity through its mix of pyjama suiting, in silk and adorned with rose pin badges. 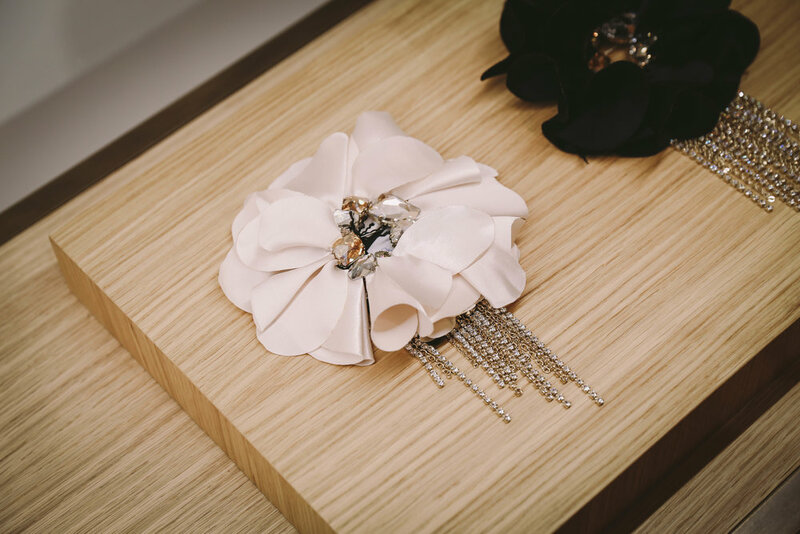 Silhouettes are enhanced and emphasised with floral brooches and chain jewellery. 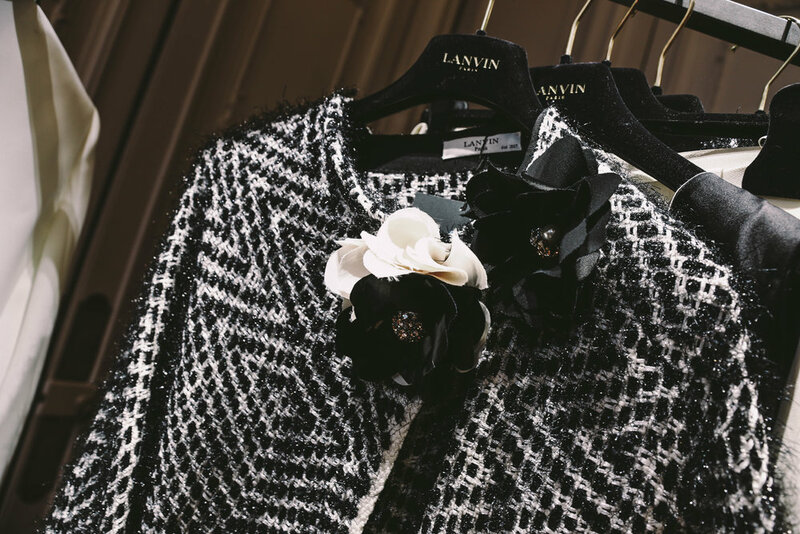 The vision for the Lanvin woman is set to broaden horizons, not only restricted to one type of woman. In opening the scope, the show schedule has already been pushed forward from an 8pm evening slot to noon, with the curtains drawn to expose daylight. Perhaps Bouchra Jarrar and Alber Elbaz are really day and night, and only time will tell.